Sigil is commonly defined as a symbol that is created for a magical purpose. and geometric figures. Sigils can usually be found in Jewish mysticism and Kabbalistic magic. Here we can see another subtle hint or reference to religion. Earlier in the course we have established that there are references to religion in the book precisely because religion reflect the basic desire of human beings for images. Religious icons are the perfect representation of this said desire. In religion, images such as sigils are mundane representations or symbols of something transcendent or something beyond basic human understanding. In our endeavor to understand and make sense of the many things going on around us, we make use of images or icons. The chapter starts with a description of Cayce trying to calm her apparent anger. 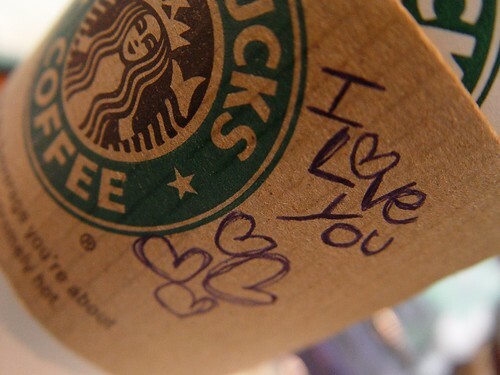 She and Boone were at Starbucks and consequently there was a somewhat detailed description of the interior of the Starbucks' branch that they were in. Here we can see that the setting/background plays a major part in the story. It was used to illustrate another major idea that is found in the novel which is globalization. Globalization, as we all know, is a rising modern phenomenon. Due to globalization we can see a certain flattening of the world. Almost everywhere we look today we see indicators of globalization. In a lot of things we see a sort of "sameness" or similarity which essentially shows how our world today are really interconnected. 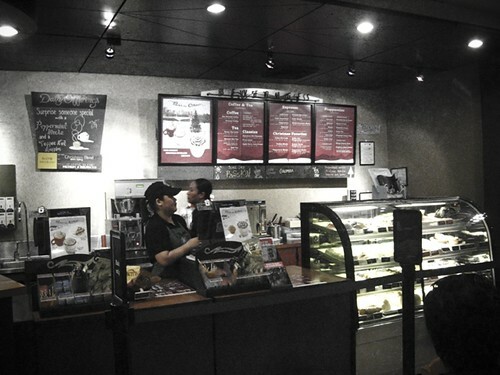 Just look at the photos of the different Starbucks branches above. Even if those pictures where taken from different parts of the world, we can all see that standard but almost distinct Starbucks' interior design. 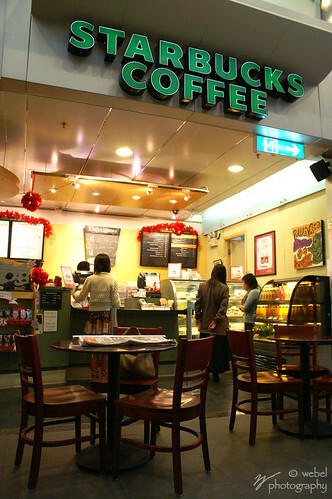 And I am sure, that if I ordered a frappucino at a Starbucks branch in Hongkong, it would taste almost if not exactly the same as the frappucino that I would order here. And just like Cayce, I knew I would feel that certain sense of familiarity in whatever branch of Starbucks I went in to mainly because of that ambiance that that standard Starbucks interior exudes. The next part of the story shows Cayce and Boone having a heated discussion which later on leads to a shaky agreement and to the restoration of a somewhat amicable working relationship. In this part of the chapter we see the connection between trust and information. This is where the handling of information becomes a relevant topic. This is where the issue of loyalty, practicality, and betrayal comes in. Here we see Cayce questioning whether she can work with and thus consequently questioning also if she can really trust Boone because of what Boone had done. Boone did not totally betray Cayce but he did mishandle the information that Cayce confidently shared with him. So what really happened here is a mishandling of information and thus a betrayal of confidences. Here we can that though trust and information are interconnected, trust is not always about information. It is only when the information is manhandled that the issue of trust comes in. This news clip is a perfect example of how mishandling of information can lead to not so pleasant things. Brand Identity is how the brand owner wants the consumer to perceive the brand - and by extension the branded company, organization, product or service. The brand owner will seek to bridge the gap between the brand image and the brand identity. Brand identity is fundamental to consumer recognition and symbolizes the brand's differentiation from competitors. Attitude branding is the choice to represent a larger feeling, which is not necessarily connected with the product or consumption of the product at all. 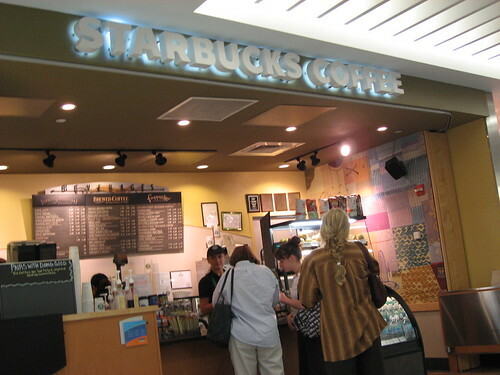 Marketing labeled as attitude branding include that of Nike, Starbucks, The Body Shop, Safeway, and Apple Computer. In the 2000 book, No Logo, attitude branding is described by Naomi Klein as a "fetish strategy". In the chapter, brand identity was seen as a strive to hold on to a stable identity, which Cayce Pollard was trying to do all throughout. 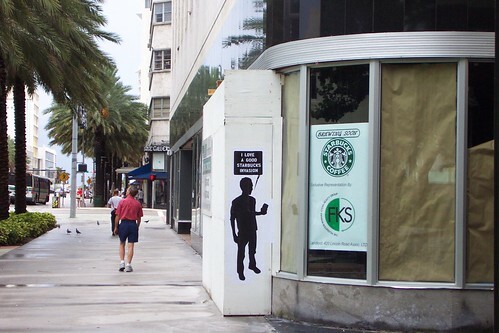 She despises logos, yet she identifies with Starbucks, probably because of the homey feel to it. She doesn't recognize how much of a brand it is due to the fact that she was comfortable being there as it is pretty much the same in all branches. Brand Identity can be further explained in this article. Although the Information Age is often described as a new era, a cultural leap springing directly from the invention of modern computers, it is simply the latest step in a long cultural process. Its conceptual roots stretch back to the profound changes that occurred during the Age of Reason and Revolution. The Information Age is the current world we are living in, and it is the reason why we study the subject Com12 as it is about the Information Society. In this chapter, the Information Age somehow reiterates the need to manage information. Boone shared information he wasn't supposed to, which made Cayce even more curious. The video below shows how the Information Age affects all members of society, even a Vice Presidential candidate of the United States. Sarah Palin is someone perceived as a dumb blonde and lacking in education, and she further convinces everyone of her inability to withhold information, as seen here where she continues to blabber on about the stereotypes made against her and further reiterating the fact that she does not know anything she is talking about. This line said by Michael Coreleone from The Godfather says that its a better idea to keep a closer eye on your enemies rather than your friends [although a Sicilian never trusts anyone]. By keeping your enemies close, you know their moves, moods and characteristics, and you can even sometimes be undetected as their enemy. In this chapter, the Russians were obviously spying on Cayce, but she had to be coy and not really mind it because she wanted to keep this motto in check. Even though this Russian company was an enemy of Blue Ant, and Cayce worked for Blue Ant, it was a must that she somehow work with them in order to know information that may eventually benefit Blue Ant. They lyrics of this song speak of keeping friends close and enemies closer, and how beneficial it is. It is also important to note that it is a current song, which is important to note that people in the Information Age really stick by this motto. What you are about to click is merely audio on a YouTube site. There is no fancy video, just purely song, which is why it is important to listen to the lyrics. An agent employed by a state to obtain secret information, especially of a military nature, concerning its potential or actual enemies. One employed by a company to obtain confidential information about its competitors. One who secretly keeps watch on another or others. In the chapter, certain things were used to spy on Cayce such as a cellphone, a photograph of her by the canal, her laptop, her Blue Ant Expense card [which shows her database] and Franco, the guy who tried to take her card. These are obvious information tools used in every single thing of Cayce. We know very little about the Russians and our knowledge about them is limited, yet what the Russians know, we know as well. Blogs often give information about people's lives and what they would like to tell the world that is secret to them. In a way, we can "spy" on people through their blogs. This blog, however, is a community of people who spy on others. It is unique to say that this really exists nowadays. In this chapter, encryption is seen as having layers of information. The important thing about Sigil is that the way the footage was done points to a certain school of thought. Part of that school of thought is known to have found a home at Sigil. Segment 78 is the specific number/segment that points to this. Want to learn how to encrypt? Watch the video. The "man" to the left is thinking: "I love a good Starbucks invasion." 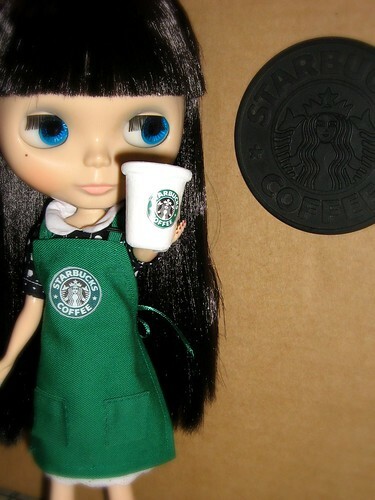 There's even a Starbucks barbie!